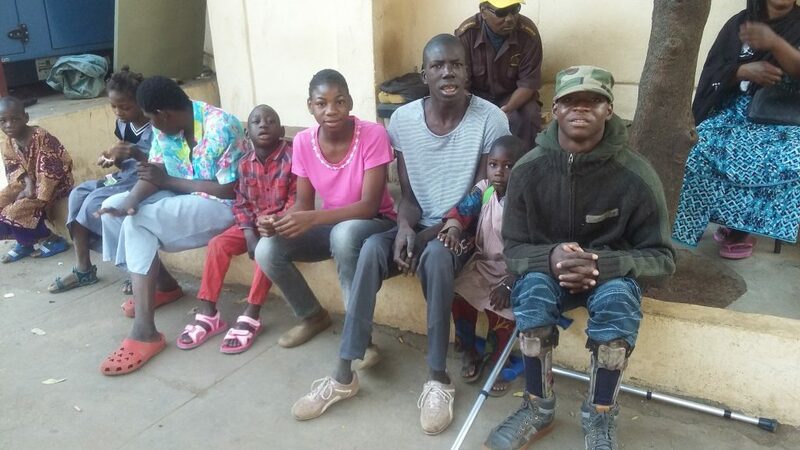 Whilst still respecting Malian culture and traditions, the Leo charity works with local human resources to achieve better understanding of the nature of handicap – that it is a sickness rather than a death sentence. There are few resources in Mali to devote to the needs of children such as these who are excluded from society. Even though recognition of their handicap does not detract from their official mission, the Centre d’Accueil et de Placement Familial (CAPF), otherwise known as the Bamako Children’s Home, makes places available for them in the absence of anything better. – External education activities within the school system (Amaldéme, CRHP, Amasourd) and outings to the museum gardens and the Cite des Enfants park. Thanks to the generosity of donors, the children have had a means of transport since 2011. 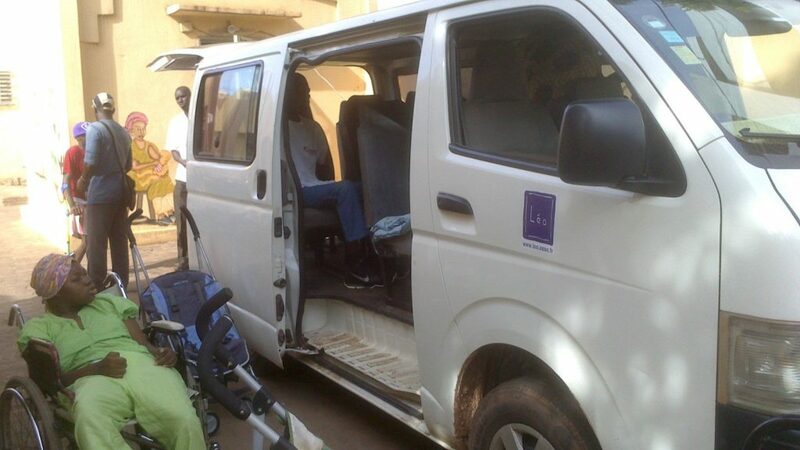 The purchase of a minibus has had a huge impact on the ability to take handicapped children to medical appointments, treatment sessions and therapy. In 2006, The Leo charity approached the Marseille international NGO, SANTE SUD, which does projects in the sphere of handicapped and vulnerable children. Furthermore, the NGO has an office in Bamako, which is led by Malian development professionals, which allows them to tackle the current and future difficulties of handicapped children when dealing with the Malian public authorities. – Improving the conditions of care of children taken in by CAPF with a programme of internal reorganization and the training of staff. Since then, the head of the childhood project at SANTE SUD Bamako has been coordinating the Leo activities in the handicap section and represents the Leo charity in the missions by Leo volunteers to Bamako. – The funding of training for staff with regard to specifically handicapped orphans and the establishment of a database to monitor better the children. During missions to Bamako, the Leo volunteers work together with CAPF, DNPEF and the SANTE SUD professionals who represent the Leo charity locally.